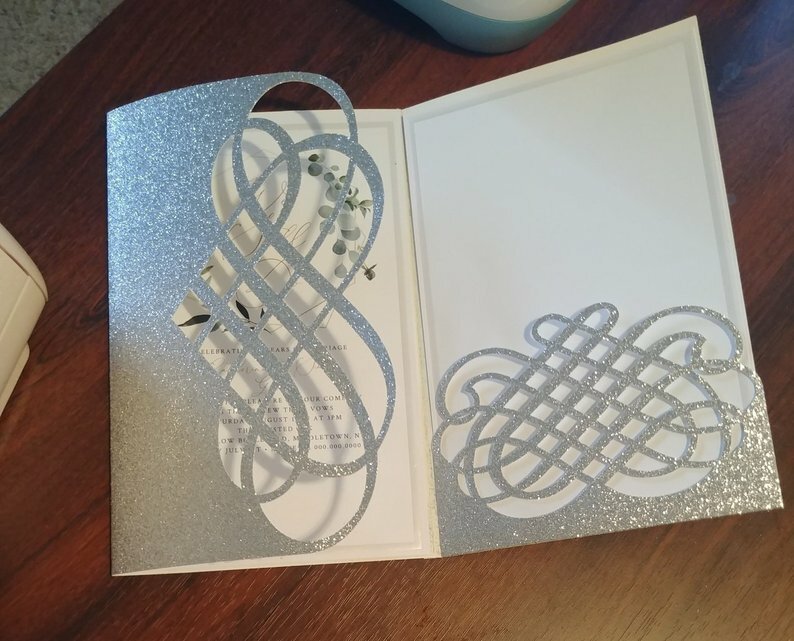 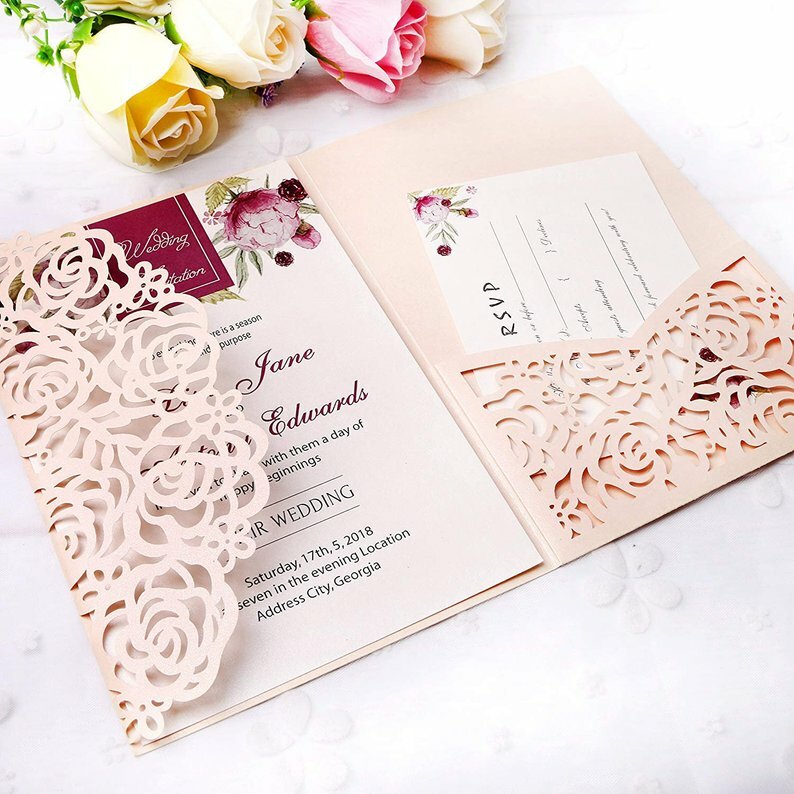 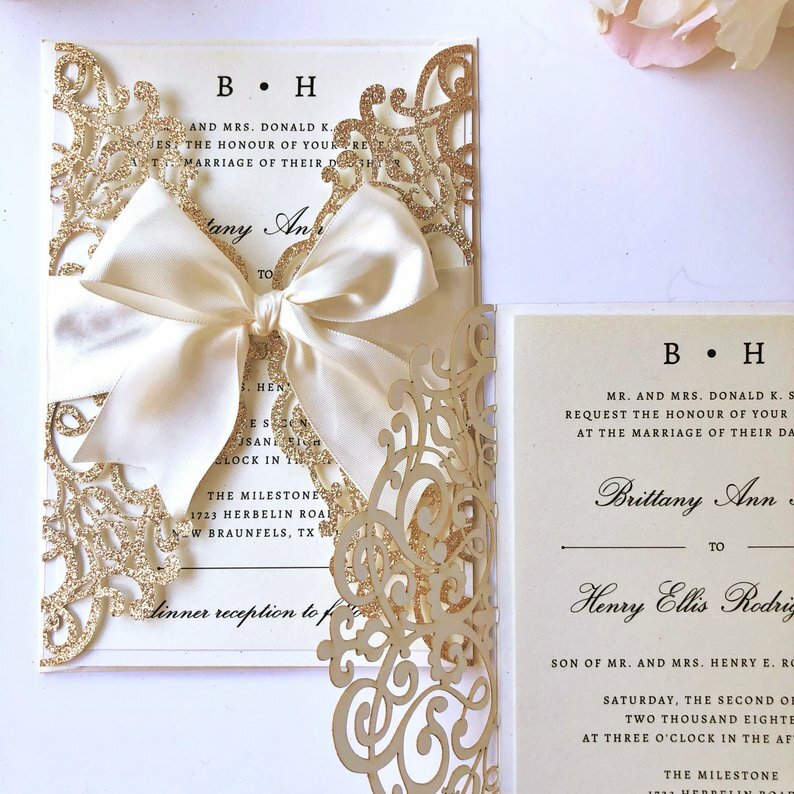 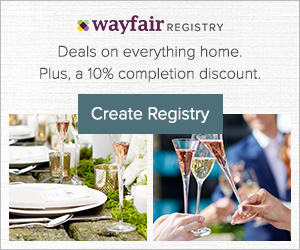 These delicate laser cut wedding invitations feature a tri-fold design. 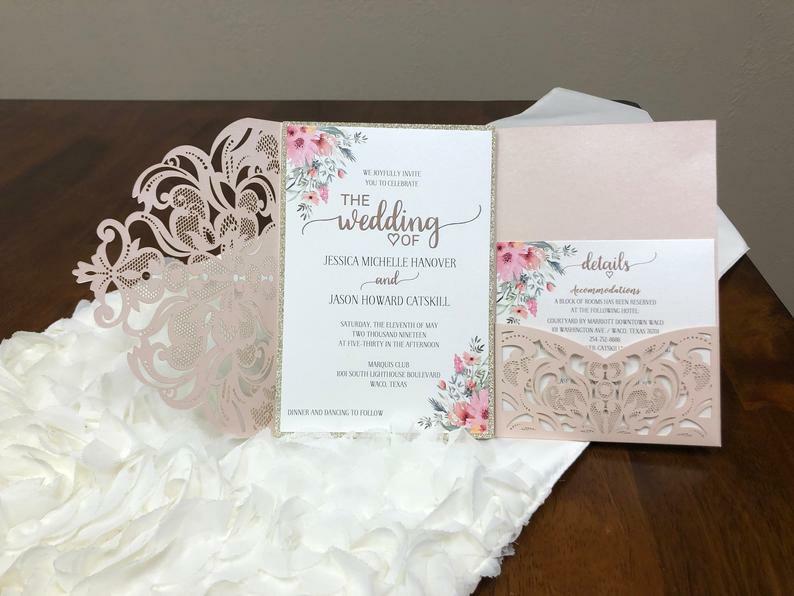 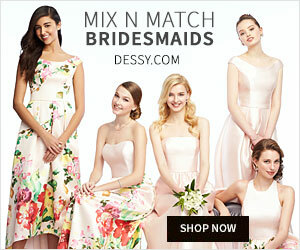 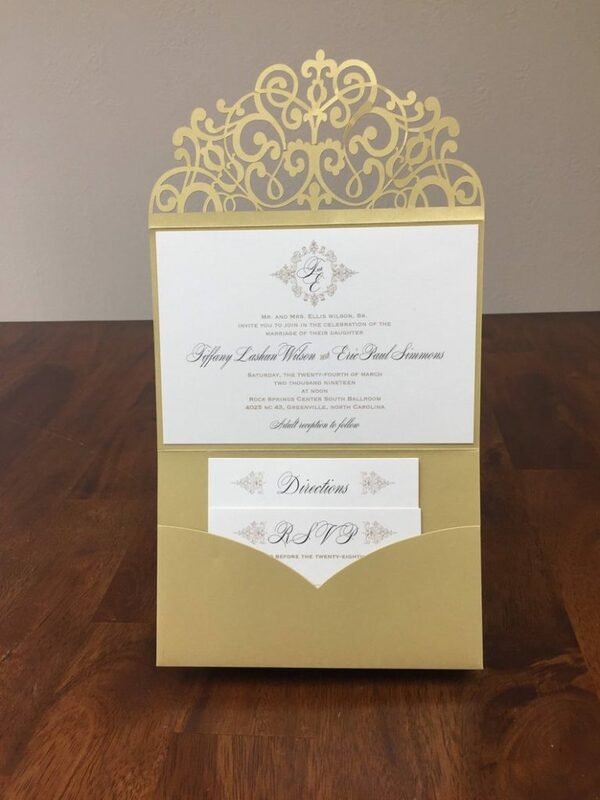 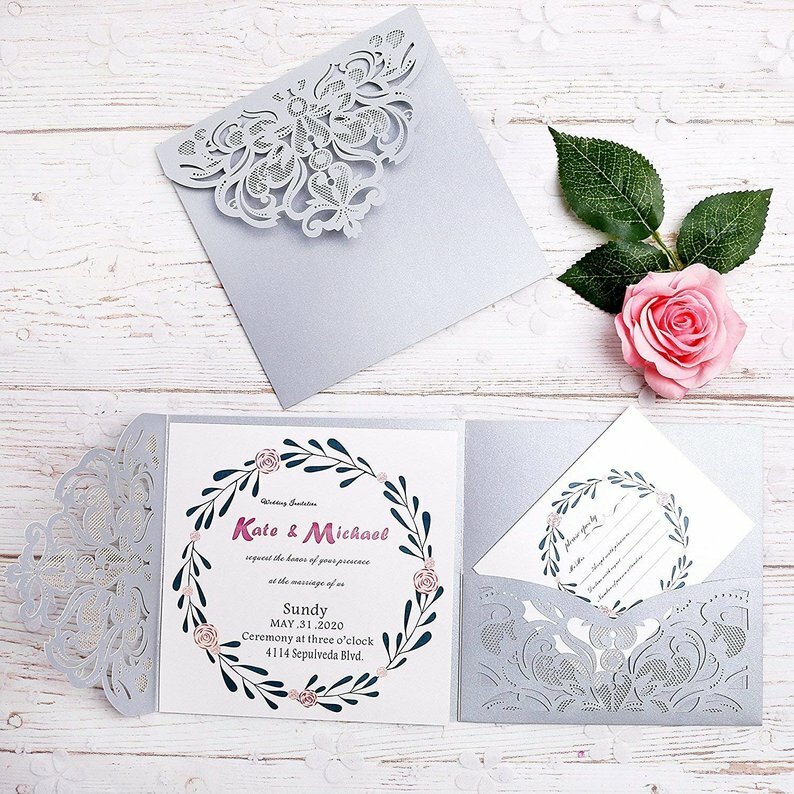 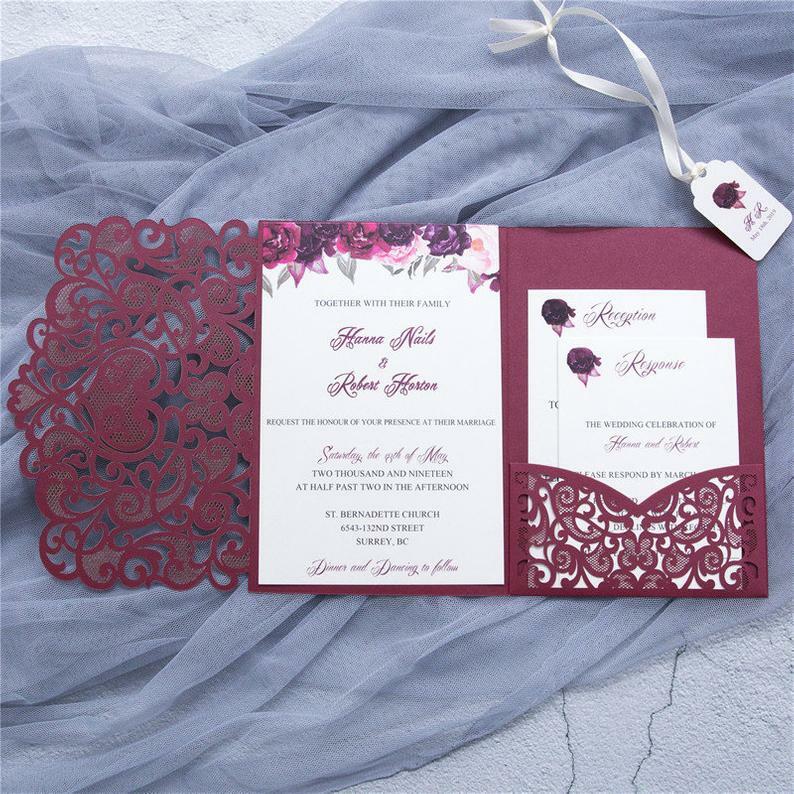 Intricately lace cut wedding invites that are a beautiful and stately way to invite your wedding guests to your big day. 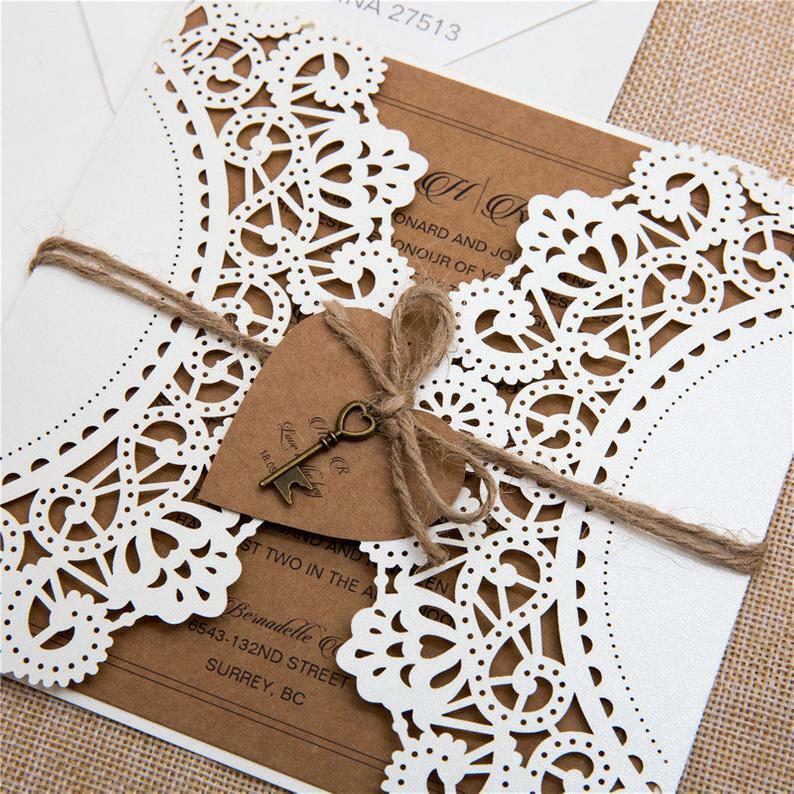 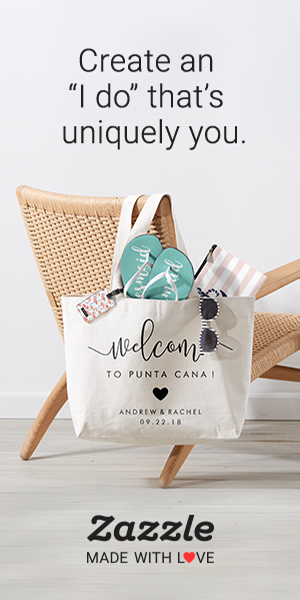 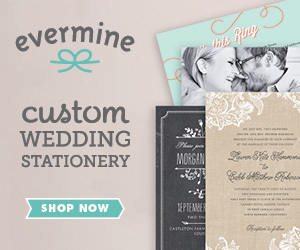 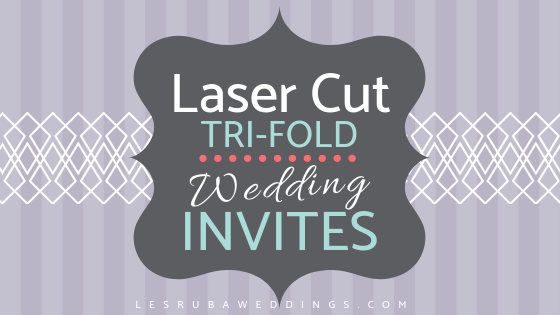 If you love laser cut invitations, you’ll also like these gorgeous laser cut Pop-Up Wedding invitations we found.